Krassimira Jordan began her formative musical training at age four and made her recital debut when she was seven. She studied in Sofia, Vienna, and Moscow, where she studied with Stanislav Neuhaus and Emil Gilels. During her years of study, a series of prestigious international prizes were awarded to Krassimira Jordan, including the International Piano Competitions “Alfredo Casella,” and “Alessandro Casagrande”, as well as the Mozart “Clara Haskil” Prize. As a representative of Austria, Krassimira Jordan was the First Prize and Gold Medal winner of the Rio de Janeiro International Piano Competition. Krassimira Jordan has performed with much acclaim as recitalist and orchestral soloist in major European cities in Austria, Italy, Germany, Belgium, Switzerland, Russia, Hungary, Poland, the Scandinavian countries, Mexico, Brazil, Costa Rica, Japan, China, Taiwan, South Korea, Hong Kong, and the United States. She has appeared as soloist with the Wiener Symphoniker and the Tonkunstler Orchester in Vienna. Krassimira Jordan has been regularly invited in Japan, China, Korea, and Taiwan to conduct masterclasses at the major universities of Beijing, Shanghai, Seoul, Osaka, Tokyo and Taipei. 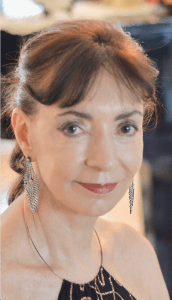 Highly regarded as a teacher, her students come from all parts of the world and have won top prizes at numerous international piano competitions in the USA, Europe, and Asia. Several of her pupils achieved high recognition, such as Jimmy Chiang, Conductor of the Vienna Boys Choir, John Wilson, Musicology Researcher at the University of Vienna, Zhe Li, highly accredited pianist and Head of the Piano Department at the Conservatory of Shenyang, China, Yu Man-Ching (Donald), successful composer and Senior Lecturer at the Hong Kong Institute of Education, in Hong Kong, China, Lynn Worcester, Assistant Professor of Piano at The University of Tennessee at Chattanooga, and many others. She has recorded a series entitled “Franz Liszt – Berühmte Klavierwerke” (Famous Piano Works). Her compact disc releases, “Slavic Masterworks for Piano” and “The Legacy of Pantcho Vladigerov”, are both available on the Albany Records label, www.albanyrecords.com.The most recent CD, which includes Franz Liszt’s Sonata in B minor, is available on www.cdbaby.com/cd/krassimira. The new CD with works by Beethoven, Liszt and Debussy is available from Centaur Records, http://www.centaurrecords.com/store/artists-websites/. Krassimira Jordan was Professor of Piano at the world-renowned Vienna Academy of Music and Dramatic Arts for ten years. Her Carnegie Hall debut was followed by a special guest appearance on the noteworthy live radio show “The Listening Room” with Robert Shermann on the New York Times station, WQXR, where she interpreted and discussed works by Viennese composers. 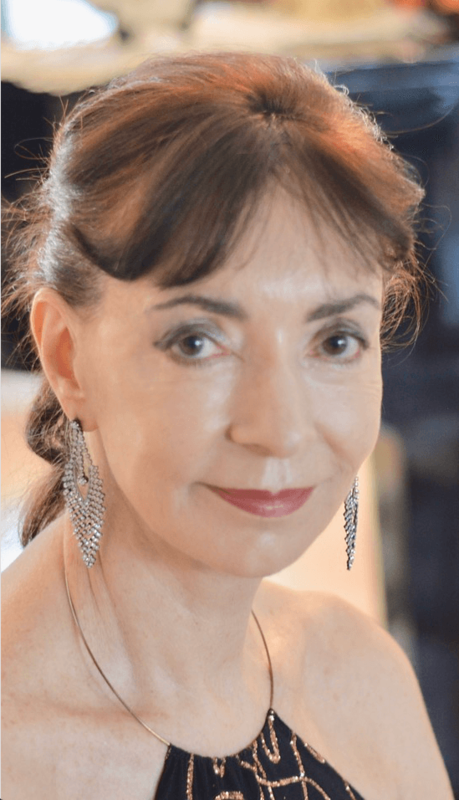 Her publications on the teaching of Anton Rubinstein, the music of the Bulgarian composer Pantcho Vladigerov, and the artistry of one of the most enigmatic and adventurous pianists of recent times, Marc-André Hamelin, have attracted the attention of music scholars and magazines worldwide. Krassimira Jordan has been cooperating in a significant number of duo piano concerts with other renowned pianists as Wolfgang Watzinger, Vienna University of Music and Performing Arts, Thomas Kreuzberger, Vienna University of Music and Performing Arts, Faina Lushtak, Tulane University, New Orleans, Pamela Mia Paul, UNT Texas. Together with Thomas Kreuzberger she recorded “Die Ungarischen Tänze” by Johannes Brahms, available from Granola, Vienna. Krassimira Jordan is currently an Artist-in-Residence and Professor of Piano at Baylor University in Texas. Each summer, she teaches a select group of pianists and teacher-observers accepted to the Vienna International Piano Academy, the Tyrolean International Piano Academy (Innsbruck) and the Vienna Music Seminar at the University of Music and Performing Arts in Vienna, Austria. She enhanced enormously the international image of Baylor University through worldwide extensive performing, lecture/demonstrations, adjudication at international and national piano competitions, conducting master classes, and attracting students from Europe, Asia, South America for her multinational studio. Krassimira Jordan is Steinway Artist.